I LOVE Swagbucks. I have been a member for years and over those years Swagbucks has paid for a lot of coffee, books, and more. My favorite way to spend my SB points (what points are called at Swagbucks) lately is the $25 Amazon card. The first one each month is just 2200 SB points (after that they are 2500 SB points). 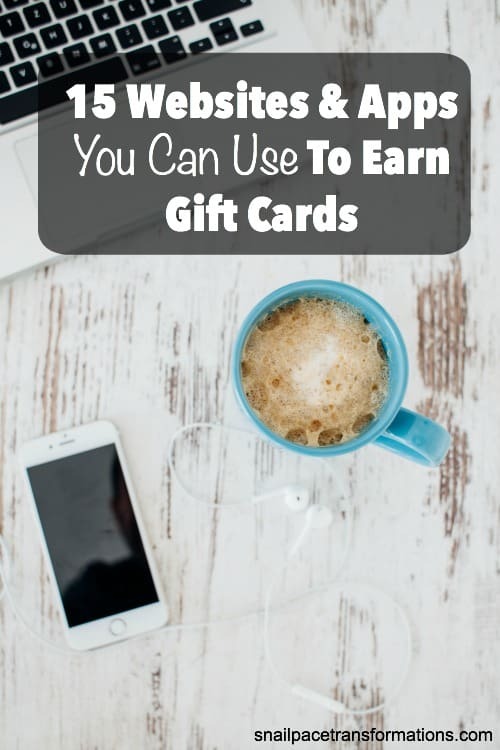 Being a numbers geek I decided to add up just how many gift cards you could earn in one year if you were faithful to perform certain Swagbucks actions each and every day for 1 year. On the homepage for Swagbucks, you will find a daily to-do list. Do 6 out of 8 items on this list and you will receive 1 to 4 SB points. This takes all of 2 seconds to do and earns you one SB point per day. Swagbucks keeps changing the maximum daily points that can be earned per app. The numbers above are based on the limits a reader last told me about. If you know that they have changed since then let me know in the comments below so I can update this plan. I have readers who cycle through a fair amount of these videos each day (perhaps use an old smartphone or tablet connected to wifi so it doesn’t tie up your actual phone).Let’s say you aim to earn 35 SB points a day with Swagbucks apps. Now, of course, few are going to be that dedicated but the potential is there. Each day you can watch or complete the daily nCrave found in your todo list on the home page of Swagbucks (laptop version). This will earn you 1 to 2 SB points. While you’re on your laptop taking care of simple tasks why not open up a window and run a bit of Swagbucks TV in the background. You can find a link to this under your “Daily To Do List” on the Swagbucks homepage. What you earn varies depending on what is available and how many points are offered but there are usually groups of 6 videos available to watch for 1 SB point. Not only will this help you earn points but it will also help you get closer to receiving those points for finishing 6 out of 8 items on your “Daily To Do List”. Swagbucks has a great coupon area. Make it a habit to check it before you run out to the grocery store and I am sure you will find at least one coupon each time you go shopping (worth 10 Swag Bucks) that will help you not only earn more Swag Bucks but also reduce your grocery bill. Do you shop online at places like Old Navy, Walmart or Target? 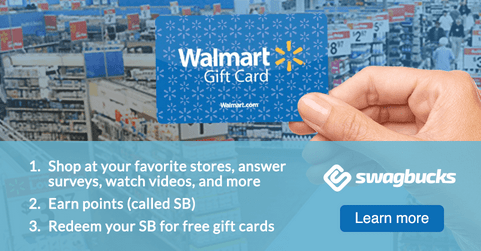 If you do you can shop through the Swagbucks search engine and then click on the shop now box at the top where the SB points per dollar spent will pop up and be on your way to earning gift cards while you shop. Now I am not a huge online shopper, I still shop at brick and mortar stores more than online still I earned 2,329 SB point in one year using Swagbucks Shop and earn program. If you try something and you love it you are going to want to tell others about it and Swagbucks is going to reward you for that. Currently, you receive 10% of whatever your referrals earn (certain point earning actions only) for life. Even before I had a blog I would share my Swagbucks earnings with my Facebook friends and if one asked what it was I would explain it and sometimes they would sign up. I usually signed up 1 or 2 people a month. 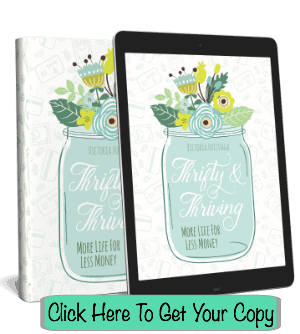 This is my favorite way to earn because it is so simple. You need to download the Swagbucks toolbar or make the Swagbucks homepage your homepage or do both (I do both). Then use these for entering all your online searches and you can randomly win SB points. Sometimes it is just 6 but I have one as many as 49 in one search (sometimes it is zero). To get numbers for this one I took what I have learned the last 7 days and decided to make it the average you might earn per week. 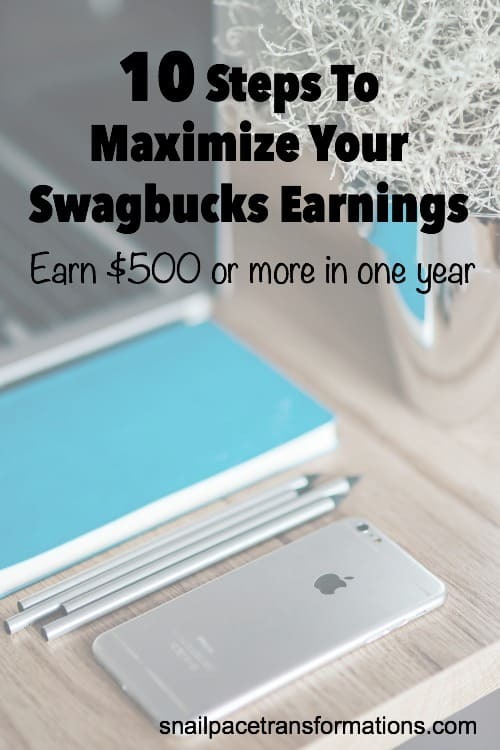 These are just 10 ways to earn with Swagbucks but there are more, you can do surveys, perform online tasks, play games and more. In fact, there are over 20 ways to earn SB points and new ways are added all the time. Total: 50,746 SB points which equals over $500 in gift cards a year. Don’t forget to take advantage of the 2200 SB point $25 gift card each month (available for all gift cards but PayPal)which will increase your yearly total even more. That is enough money to pay for Christmas in many households. Plus you still have over a dozen ways to earn that I haven’t gone over in my example. 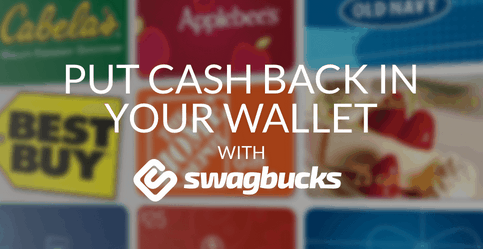 You can sign up for your own Swagbucks account now and start earning your $500+ in gift cards each year. I love the tip to watch the Swagbucks tv while doing other tasks. I need to share these tips with my oldest son who does Swagbucks, too. Love, love, love the ideas! 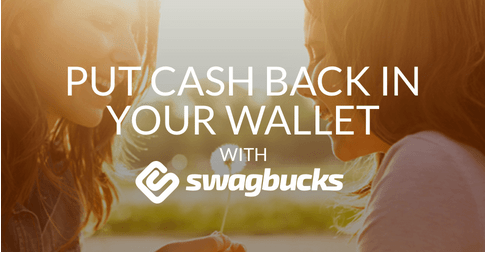 I had joined Swagbucks previously and just could not get the system figured out in a way that really made me feel that I earning money, saving time, etc. All your tips really helped me see how I can make Swagbucks work for me! Hope these ideas work for you. It really does add up fast once you get a few of these tips rolling. I have often wondered about swagbucks. Now I have all the answers! You know, I used to have swagbucks as my search engine, and have it installed, but I just HATED the search results. They are lousy! Plus, once my husband signed up for a free offer thing to get 1000 points, but he never received them. However, I’ll still print off coupons from them – I think your 1 coupon a week is low (but then again, I’m a couponer!). I’ve been using bing rewards, however, I claimed my first prize and have never received it… So, I’m super frustrated. I may have to look at some of these other uses of swagbucks again, because, Lord knows, we could use some extra money. I would contact Bing, I found their customer service to be great, and I have usually gotten my e-gift codes within a few hours from them if not minutes. I am not much of a search engine searcher so I am happy with Swagbucks as a search engine. And yes I am not a huge couponer, so my results are probably lower than those who are. That is what I love about Swagbucks though is that there are so many ways to earn points that everyone can pick and choose their favorites and still make a bit of money each month, or they can apply all areas of it and make a fair amount of gift card cash each month. I’m new to Swagbucks…I signed up in November but really started being consistent this month. How do you get Swagbucks TV to run continuously without having to click on new videos each time? I use the swagbucks TV app and it runs continuously making it easier to reach the max each day on my phone. I haven’t been able to figure it out on my laptop though. I’ve got to figure out the Bing Rewards better because it doesn’t make sense how to use the two programs in conjunction. I signed up for Bing rewards but that’s about it. Do you have a post about that, or tips? Thanks! I don’t think you can run it consistently on the laptop just App devices. Bing rewards gives you a code worth 500 Swag Bucks that you enter into the Swag Code box. It costs 475 Bing Rewards, you will find it in the redeem section of Bing and can set it as your goal. I hope that helps. Don’t forget about entertainow. Run the swagbucks tv app and EN app, they both run continuous. You use to get 50 for TV and 40 for EN but they reduced that to 40/30 per day. Also do the encrave videos. The videos with a circle/arrow run through automatically so I run them getting ready for work or making dinner. I typically get at least 30 swagbucks each day with the encrave videos. Very easy but only on PC, you can’t run them on iPad, tablets or phone. Good tips! Also, good tips in the comment section! Swagbucks was my first love and opened my eyes to earning money online. Your yearly SB’s isn’t even counting the daily bonuses right? Yes you are right my plan is not including the daily bonuses. Encrave videos under the ‘discover’ tab on the main menu.. that’s where I make a few bucks a day on swag..
No there is not a yearly limit on earnings. However there is a limit on how many rewards you can cash in on in one day. You can only cash in on 2 gift cards per day no matter whether they be for $5 or $50. I think you mean tax. Once you earn over $600 (In the US at least) you have to pay tax on your earnings if you file. You can play games for free too. Every 2 games you play earns you 2 swagbucks! A little trick for the swagbucks tv… You only have to watch about 30 seconds of the video before it credits you and you can move on to the next one. 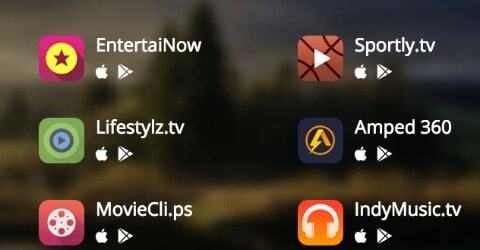 They also have 5 different channel apps you can download on your phone or tablet. They are sportly.tv, entertainnow, indymusic.tv, moviecli.ps, and lifestylz.tv. You only have to watch about 3 seconds of these video’s and then you can click done and move on to the next one! The points add up quickly, I love it! Thanks for the tips and the update about the apps, they have added a few since the last time I checked. Increase your online purchases by buying online and picking up in store. If I only need a few items from someplace like Lowe’s, Advanced Auto or Walmart I frequently order the items online and pick them up a few hours later. I do it more for Lowe’s & Advanced Auto since it saves me time looking for what I need. I also save a lot with Advanced Auto because they have a lot of online coupon codes. Last Advanced purchase I had was a bit over $100. I saved $30 and received 210 swagbucks. Coupons- you can print 2 coupons per computer! I have a stack of very OLD laptops I use to print coupons. I am always printing coupons to stock up on cheap/free items. I also pick up a lot of free items to donate or gift. Christmas is coming and I’m hopping for more cheap or free glade. Last year I stocked up on enough free scrubbing bubbles, glade, and other SCJohnson products to last me a year. Use Checkout 51 & Ibotta too. There are several smartphone apps out there that allow you to view and control your device on your computer. I find these are great since the smartphone video interfaces are smaller and easier to see and control than the website. I keep mine running in the top right on top while I am working. I miss the swagbucks reward on bing! I LOVE the tip about ordering online and picking up in store! Thanks for the other great tips. And I too miss the Swagbucks reward on Bing. It appears I need to update this article. I wrote it years ago. Swagbucks doesn’t appear to have NOSO anymore. I earn about one $5 gift card a month on Swagbucks. I do the Daily Poll, watch movie previews on my smartphone and play the Swagasaurus game. If I do these things every day for a month then I usually end up getting a $5 gift card a month. I spend about ten minutes each day on it. I would like to see more articles about this topic. I barely am earning any swagbucks. I do much better on mypoints.com. I’ve done searches on SB but have not ever yet earned a point for it! I did though set up a google alert for “swagcode” and get the newest codes this way no matter where they are listed. It has been a huge helper! 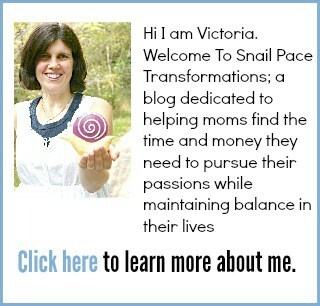 Great tip check out my “Point Rewards” page here: https://snailpacetransformations.com/point-programs/ for my newer posts about Swagbucks as well as other such programs I have had great success with. I won 200 SB for one search once!